Sondergaar Electric, Inc. Residential and Commercial - Sondergaard Electric, Inc.
Sondergaard Electric Inc provides a comprehensive array of commercial electrical services and solutions and dedicated licensed and certified electricians who make sure the work performed meets your business requirements and expectations. The commercial electrical service you can do business with. Any delay or interruption in your electrical system could mean a substantial loss for your business. Even the simplest electrical problem can have a great impact or long-term consequences Sondergaard Electric Inc. also has flexible work appointments that can be fitted according to your business schedule. You can enjoy the full attention and dedication of your Electricians to fix your system issues without worrying about business downtime. 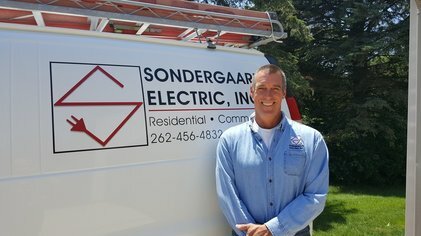 Sondergaard Electric Inc. has successfully served commercial and business customers in and around Southeastern wisconsin, since 1955. You can trust that your business will have reliable assistance whenever electrical emergencies pop up. Sondergaard Electric Inc. is dedicated to providing you with the best possible solutions, on time and at very affordable rates. Our commitment and dedication to exceed service expectations is what makes it one of the top-rated commercial electrical services providers in Racine.